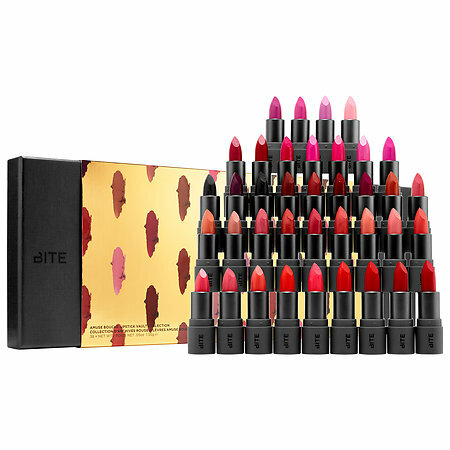 If you have ever found yourself longing for a mountain of colorful lipstick options as vast and variant as a giant box of Crayola crayons, Bite Beauty’s Amuse Bouche mini lipstick vault will fulfill every single one of your rainbow-colored needs. 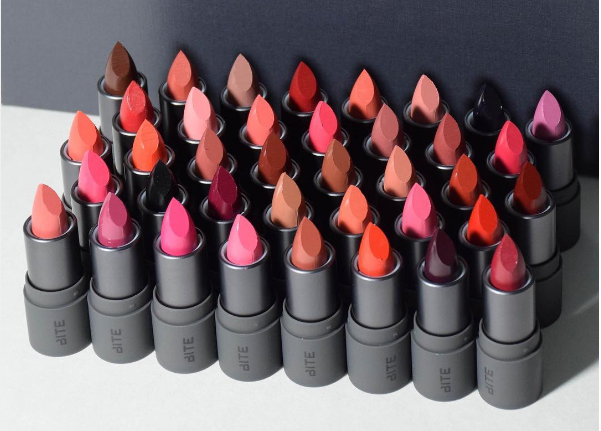 The full set of 38-deluxe mini shades of lip products, available at Sephora, includes everything from a deep blue shade to black goth lipstick to a creamsicle peach. The full vault looks like it was scooped out of heaven. Anyone who gets their hands on Bite Beauty’s Amuse Bouche will be equipped with shades for every mood and outfit change. Plus, just looking at the beauty of the collection is enough to make us desire the riches of the vault. Look at this rich bouquet of colorful lipsticks and imagine it safely stored on your bedroom vanity. There are enough shades in this set that you could wear a different lipstick every day for a month and still have seven left. This is a one-stop shop for your lipstick needs. While they cost a pretty penny, they’ll last you a long while. Now, we have yet another vision to dance in our heads while we’re dreaming.